Twice he almost cried because of Dodo Pizza. First, after reading a book about the company’s founder, Fyodor Ovchinnikov. Second, when washing the dishes at Dodo Pizza in Pargolovo in the suburbs of St. Petersburg. Yuri Kostin didn’t consider himself a softy. He used to work at a market. He handed out leaflets in the streets and helped with the family business. He grew up in Syktyvkar, Russia, earned a scholarship in Sweden, and studied and worked in Finland. He now was a father of three kids. An arduous toil couldn’t scare him off. Otherwise, he wouldn’t have come to work in the kitchen. But everything he saw in this kitchen simply appalled him and seemed unthinkable for a place with an orange bird on its logo and two short words: Dodo Pizza. Expired food was used for the meals instead of going straight into the trash. If there wasn’t a measuring cup around, the toppings were spread by eye. Nobody cared to follow the rules of the Japanese system, 5S, adopted by Dodo—dirty trays were piled around the sink mixed with the clean ones. When a new order came, it was considered acceptable to start making it in ten minutes. That might be the reason why orders at Dodo Pizza in Pargolovo took more than an hour to deliver for too many times. Since the company promised a complimentary pizza for every order that failed to meet the sixty minute window, the pizzeria had to dole out around ten certificates for a free pizza a day. Sometimes, they delivered a complimentary pizza, couldn’t make it on time again, and handed over a new certificate. The whole neighborhood was amused by this awkward policy. It couldn’t be argued that the team wasn’t able to keep up with the high demand. Six months after its grand opening, the pizzeria hardly made 1.5 mln rubles ($25,000) in sales. Profitability seemed to be out of the question. All Yuri might do to avoid this mortification was to take his apron off and leave. But he kept washing the trays, fighting back the tears of anger. Because he couldn’t leave. Because he wanted to buy this pizzeria from its owner—and didn’t want to back off. Because he was determined to stop working for corporations and to start building his own business. Because he believed in Dodo and its values like nobody else. As a native of Syktyvkar, Yuri followed the blog of his fellow townsman, Fyodor Ovchinnikov, when the entrepreneur was only growing his previous business—a bookstore chain. Kostin appreciated the author’s candor and true go-getter spirit. Yuri was alike: a maximalist, hard worker, and dreamer. Many years later, he happened to come to Ekaterinburg, Russia as AkzoNobel’s head of sales department. Talking to his local partners, Yuri learned that they are frequent customers of Dodo Pizza. He remembered that after his bookstore company went belly up, Fyodor launched a chain of pizza shops. But Kostin couldn’t even imagine that this company from Syktyvkar had managed to grow so fast and open its units, even in the Urals. 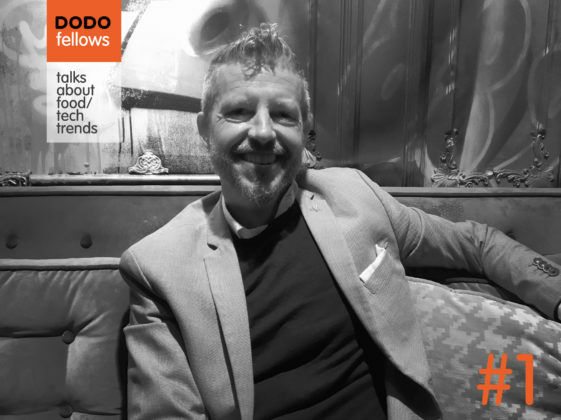 After studying Fyodor’s blog, he learned that, since its launch, Dodo had been doubling its business every year. The brand was now present in China and the US. Ovchinnikov has made it a habit of setting ambitious goals for himself and his team and, somehow, he contrived to achieve them. Global corporations, where Kostin had worked, had quite a different approach. Once, he had proposed to aim for the 20% growth of their business, but his superior said that 5% sounds much better, though Yuri had put together a solid plan to reach the proposed goal. Every year, you are asked to do more than before, his boss explained. If you push yourself to the limit, you risk failing next year—and you will look like a fool. Easy does it, buddy. Yuri had a habit of making ambitious plans for years ahead. For instance, he kept a spreadsheet with his projected income for the next decades. Having consulted with his spreadsheet, he saw that by accepting this “take it easy” approach, he began to fall behind his own forecast. Kostin had always known that someday, he would start his own firm. Entrepreneurship wasn’t new to him. As a youngster, he helped with a family business developing a Syktyvkar-based clothing brand, Biarma. When he faced a big corporation bureaucracy at AkzoNobel, ruthless and sluggish once again, he finally he made up his mind: that is enough! Yuri acquired a franchise from Dodo for Tikhvin in Leningradskaya Oblast, the closest available city, and rushed to Syktyvkar for training. For their family to be fully armed for their business, his wife put her maternity leave to an end and got a job at a corporate-owned Dodo Pizza in Saint Petersburg. Buying an up-and-coming pizzeria provided a chance to plunge into the thick of the matter even faster. Yuri learned that Dodo Pizza in Pargolovo was for sale and decided to investigate it. The testing brought him mixed feelings. His pancakes went straight from the freezer to cooking and were cold in the middle. The potatoes turned out to be undercooked—the employees forgot to put it in the oven for the second time, as they should have. And his pizza was also served cold. When he complained, the order was remade with no questions asked. At least they follow the company principles, Yuri noted. The owner wanted more than 12 million rubles (around $207,000) for this pizza shop. Kostin had only 50,000 rubles, but he could sell his old apartment—he moved out just a few months before. They agreed on a four million upfront payment and 6% of sales for the next seven years. “It’s an excellent deal; what’s the catch?” Kostin asked himself. When the first shock subsided, Kostin looked at the situation from a different angle. The more violations of the Dodo principles he saw, the more he got inspired—and the more he wanted to buy this pizza shop. Despite the disaster in management, the sales had been going up. “If I do everything right, it will be a goldmine!” thought Yuri while scrubbing the trays at the sink. The owner probably didn’t understand the full potential of that place. From other neighborhoods, Pargolovo stood out by its unprecedented building density. There were only 24 high-rise buildings standing very close to each other. Around 60,000 people lived there—almost the entire district’s population. The global competitors didn’t have any units in Pargolovo—they had to deliver from other locations and were at a disadvantage by default. There were local players, of course, but Dodo Pizza could rely on the power of the country’s largest pizza chain. To become the Dodo Pizza Pargolovo owner, Kostin had to rush with the apartment deal and sold it with a significant discount. He gained only 3,8 mln rubles and was short on 200,000. The entrepreneur could cover this gap from the pizzeria profits—they agreed that he would start paying his 6% starting from the second month. But there had to be profit right in the first month. Kostin got involved in the pizza shop’s promo activities even before the deal, so he believed that the goal was achievable. The first step he made was giving a pink slip to the marketing director who worked part-time and never referred to the pizza shop other than “your hopeless Parnas” (Parnas was the name of the closest subway station). In October 2017, for the first time in its history, the “hopeless Parnas” showed more than 2 million rubles ($35,000) in sales. In December, the shop added 500,000 rubles more to its monthly record. The road to high profits starts from assembling an excellent team and offering your customers a top-notch product. That is one of Dodo’s mottos. Kostin shared this belief, so in the beginning, his primary focus was making things right in the kitchen. Having assumed possession of the company, he called a general meeting and fired every employee who was late for it. It was just the beginning—the entrepreneur knew that he had to part with most of the crew. Many members of his team didn’t want to comply with Yuri’s new standards, and a rare day could pass by without a layoff. “Aren’t you afraid that we all will leave and you’ll end up here alone?” he was asked. He wasn’t bluffing. Nobody quit, but within a few months, Yuri replaced almost every member of his crew. All that was left after paying the former owner his 6%, Kostin would invest into renovating and refining the pizzeria. A fire safety system, kids’ room, facade, ventilation, and even sewage—everything cried for additional investments. Only on new pizza bags, he spent 140 thousand rubles (more than $2,000). Any other franchisee would get the blues after putting so much money in their firm just half a year after the pizzeria was opened. This entrepreneur was in high spirits. He reckoned that everything that is expensive for him would be equally expensive for his competitors. Instead of putting that much dough into the bags, they would probably choose to spend the money on themselves. They would opt for having a nice vacation or buying a new car. Thus, his product would be superior, and he would win the market. Kostin didn’t want to go on vacation—he considered himself an ascetic. Before opening their business, his family spent 300,000 rubles ($5,000) a month. Now, they contented themselves with just 50,000 (around $800). The Kostins invested everything they could into their business without any second thoughts. 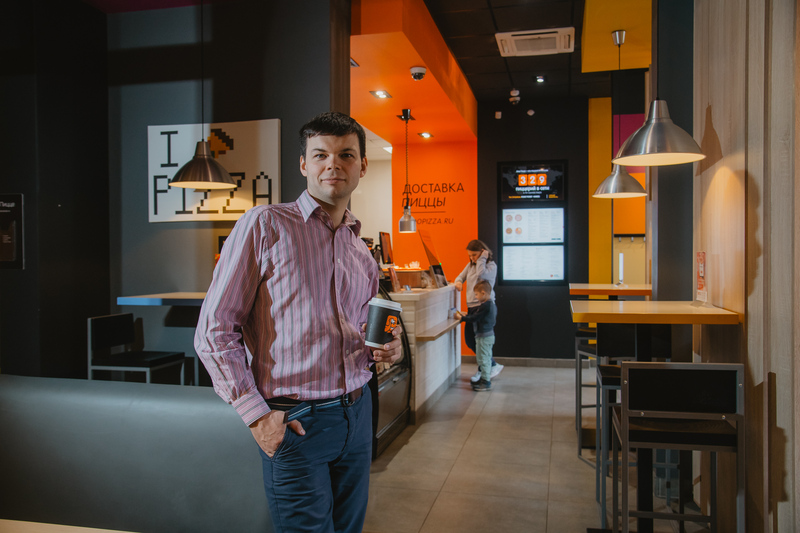 The entrepreneur set an ambitious goal for his team: to make Dodo Pizza Pargolovo a cut above all others, one of the best pizzerias in the chain. Why should I agree to that? Half measures couldn’t do the trick. The company’s head office taught that it’s okay if new employees get 80 points out of 100 when passing their internal tests after training. Kostin wouldn’t abide any result that wasn’t a straight 100. The whole life of the Kostins now revolved around their business. When setting things up, one of them was always at the pizzeria while the other would be with the kids. They would close late at night and open in the early morning. They slept for six hours a day and, for the first time in many years, both were totally happy. In September 2017, when Kostin was just thinking about buying the pizza shop, it got 59 points out of 100 after an inspection carried out by a mystery shopper for the Product Ranking. It was common for Pargolovo to fall below 85, which was the lowest acceptable number at Dodo Pizza. In December, Pargolovo got 100 points for the first time in its history. After that, the pizzeria never fell below 92. It did become one of the best in the chain. The improvements in quality and service positively impacted the revenues—in March 2018, the pizzeria showed more than 3 million rubles in sales ($53,000). Not long before that, Yuri decided that the kitchen was finally in order, and he could focus on marketing. His risky move with buying an unprofitable pizzeria started to pay off. It made enough to make a profit and to send the agreed share to the former owner. Now, the entrepreneur wants to build a chain of eight pizzerias in St. Petersburg and Leningradskaya Oblast. And then, with some luck, expand to Sweden and Finland. Kostin believes that, in the future, he can not only catch up with the numbers in his spreadsheet, but also to exceed them. All that is needed from him is just hard work.